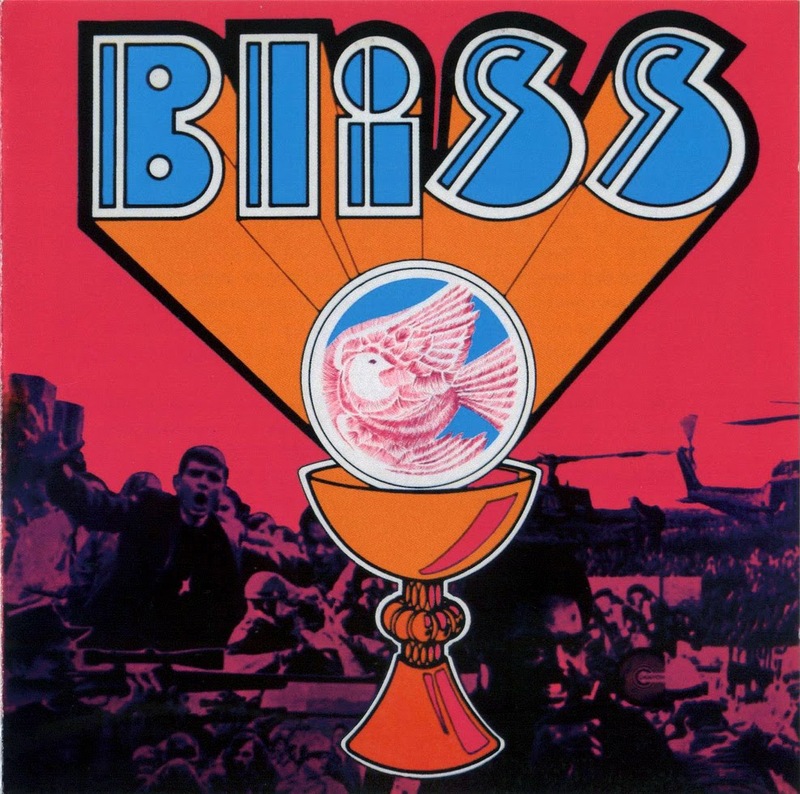 Recorded in Phoenix Arizona's Audio Records with producer Hadley Murrell (who also contributed a pair of songs), 1969's "Bliss" was released by the L.A.-based Canyon Records. Musically the LP offered up a mix of originals (all three members contributing material), and blues covers. Interestingly, based on the cover which shows a chalice and a young, angry looking priest, our initial expectations were that this might be a Christian-rock LP. Those thoughts were reinforced by the opener "Ride the Ship of Fool" which blended a nice melody with sweet harmonies and a pseudo-religious lyric and "Cry for Love". While those characteristics are enough to send a large segment of the population running for cover, in this case the results aren't half bad. The religious sentiments are kept in check throughout and are wrapped in a series of tasty rockers. Powered by Aldred's powerhouse drumming and Reed's fuzz guitar (check out "VIsions" and their cover of Joe Tex's "I Want To be Free"), this is simply a great LP!.